Agra: Once a magnificent Mughal Capital , Agra is renowned for Taj Mahal which is one of the seven wonders of the world. After resting depart for sightseeing of Agra city visiting:- Taj Mahal, Agra Fort, Tomb of Itmad-ud-Daulah. After breakfast depart Agra for Jaipur en route to visit Fatehpur Sikri and after that then drive straight to Jaipur arriving in hotel by evening. After lunch depart Jaipur for Delhi arriving in Hotel. After breakfast depart Delhi for Jaipur arriving in Hotel by afternoon. In the afternoon sightseeing of Jaipur city visiting: The City Palace ,The Hawa Mahal ,The Astronomical Observatory, The Museum. After breakfast depart Jaipur for Agra en route to visit Fatehpur Sikri and after that then drive straight to Agra arriving in hotel late in the afternoon. 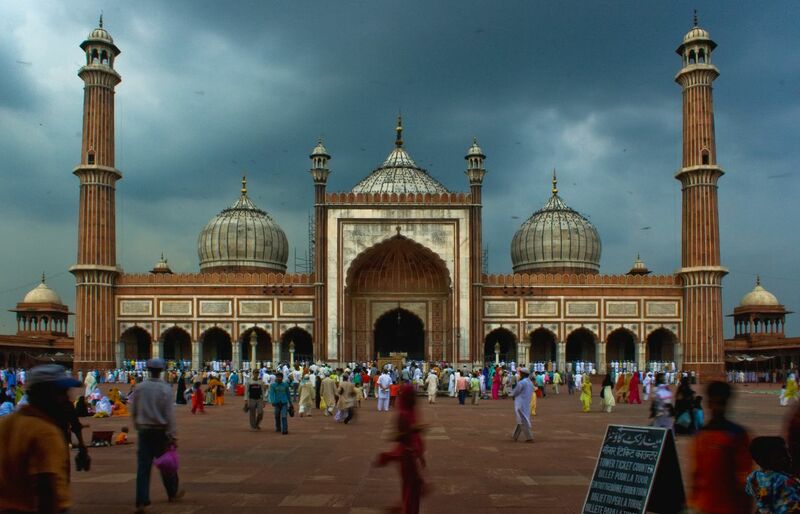 Agra: Once a magnificent Mughal Capital, Agra is renowned for Taj Mahal which is one of the seven wonders of the world. After breakfast depart for sightseeing of Agra city visiting:- Taj Mahal, Agra Fort, Tomb of Itmad-ud-Daulah. Morning transfer to Agra Railway Station for train to Jhansi and then assistance upon arrival at Jhansi Railway Station and drive straight to Khajuraho arriving in Hotel by afternoon. 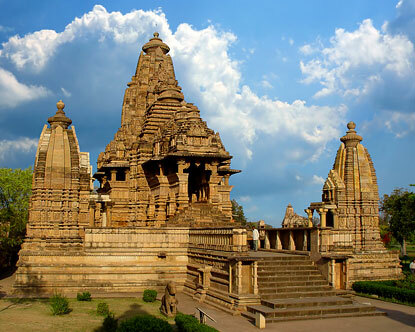 Khajuraho:- No visit to the state can be called complete without the visit to the marvels of the artisans of the Chandellas at Khajuraho. In the Afternoon depart for sightseeing of Western Group of Temples visiting:- Kandariya Mahadev Temple, Laxman Temple ,Chitragupta and Devijagdami Temple and also visit Archaelogical Musuem which is walking distance from Western Group of Temples. After breakfast depart to visit Eastern and Southern Group of Temples . After visiting the Temples transfer to airport for flight to Varanasi arriving in Hotel. Varanasi:- Banaras is an ace Tourist Spot after Agra, Delhi , Kashmir. 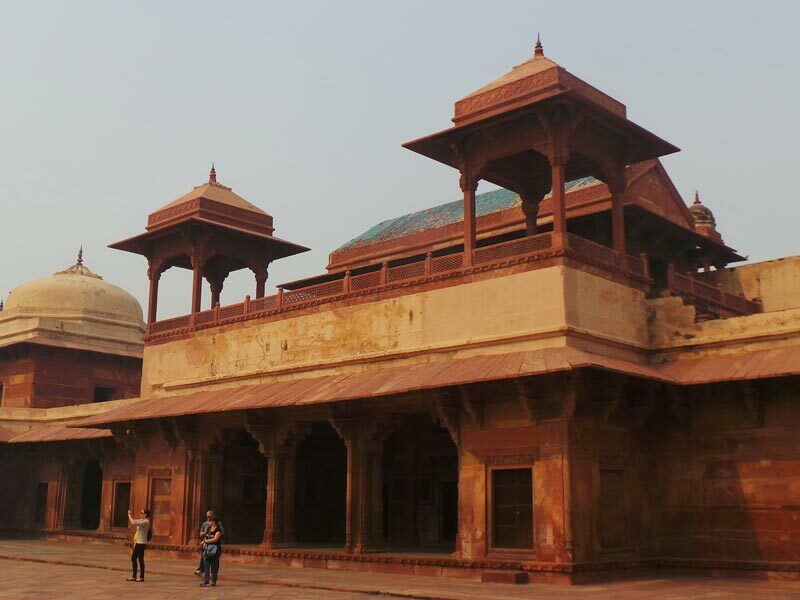 While Agra presents the TAJ, Delhi the glory of Moghuls, Kashmir the beautiful lakes and gardens, Banaras (Varanasi) mirrors to the Tourist, the people, their faith, their rituals and the way they live and die. Here is India! The INDIA without BANARAS is to ITALY without ROME. After resting depart for excursion to Sarnath. Sarnath: After attaining enlightenment, Buddha came to Sarnath, where he gave his first sermon. In the sylvan surroundings of a deer park, he initiated his first five disciples into the Buddhist monkshood. Here began one of the greatest religions of the world. Emperor Ashoka erected a magnificent stupa here. 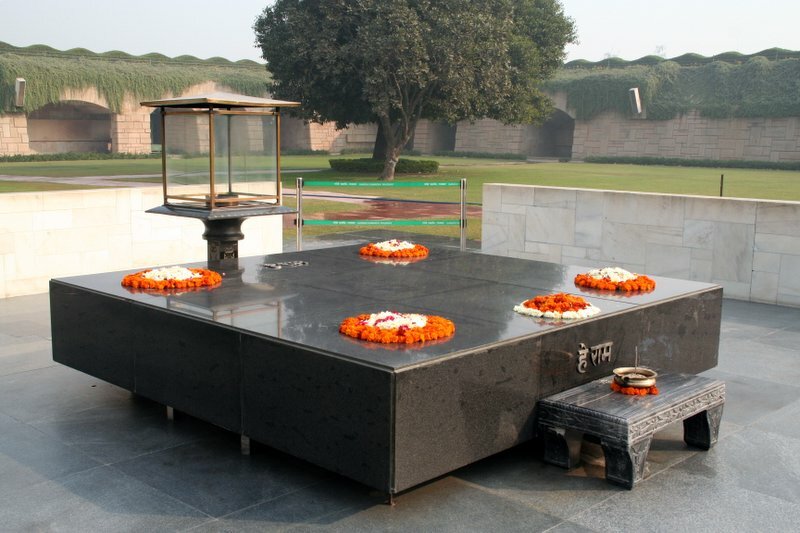 Forgotten for centuries, Sarnath was excavated by British archaeologists in 1836. In the evening witness Aarti ( Pooja) on the Banks of River Ganges. 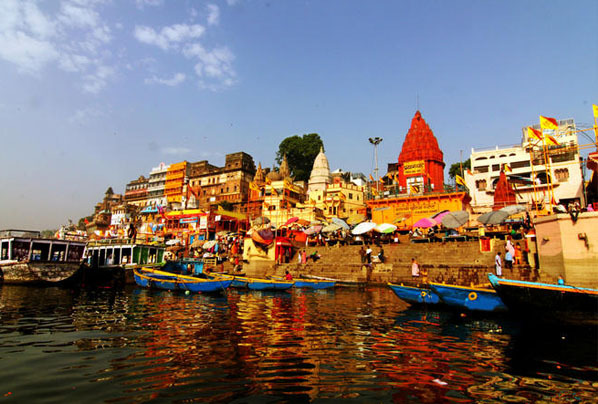 Early in the morning boat excursion to visit various Ghats on River Ganges the holy river of great importance within pilgrims followed by sightseeing of Varanasi City visiting:-Dashaswamedha Ghat, Rajghat,Kali Ghat, Man Mandir Ghat. After the boat ride, walk through narrow bazaar and visit:- Golden Temple, Gyan Vapi ( Well of Knowledge ), Manikarnika Ghat and Jasain, Durga Mata Temple, Tulsi Manas Mandir. Later transfer to airport for flight to Delhi.